- The writing is strong, characters well developed, but it takes a minute for the story to get going. There are consequences to the decisions we make in life. Katharine Geryon is about to learn that in a hard and uncomfortable way! Katharine was raised to follow in her father's footsteps, eventually stepping into power as a legacy of Light & Geryon. As a legacy that turns a blind eye to questionable business practices. Having lived a comfortable life, Katharine was raised to believe appearances mattered above all else. Maybe that's why she found it so easy to keep her encounters with the two gorgeous and charismatic men that suddenly appeared into her life a private matter. That wouldn't last long, however; she would inevitably be called upon to choose. As if she didn't have enough to sweep under the rug, peculiar and unwelcome manifestations begin in Katharine's home. She even finds piles of soot and ash on the floor and messages that appear on her mirror. A sheltered naive Katharine just can't handle all this alone! 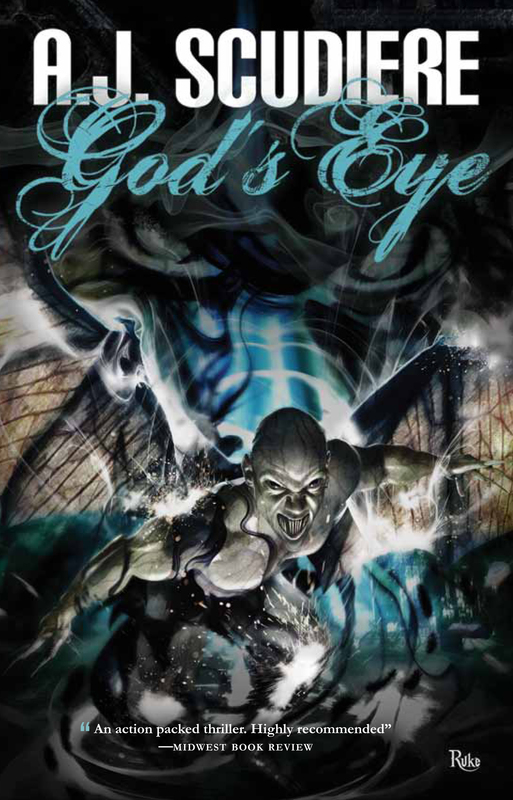 I received my copy of God's Eye by A.J. Scudiere (Griffyn Ink Publishing) at no cost in return for writing a honest review about the story. Until he can walk among us, look like us, make us believe in him. The only thing holding him back is . . .